21 December 2011 by Mr. M.
We all know how the school session goes: you stay up late doing homework, chatting with friends, going out, cruising the Internet, whatever. If you’re like me, grading, planning, playing with my daughter, talking with my wife, trying to maintain some level of sanity. Whatever you’re doing, the upshot is that you’re not getting as much sleep as you need, right? And, we all know how much a teenager needs to sleep every night, right? And, we all know when our circadian rhythms render us at our lowest ebb when sleep is most likely, right? 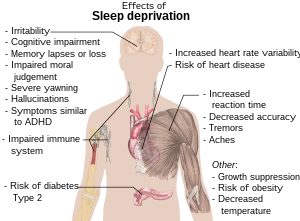 Well, now that he Winter Break is upon us, it is a good time to catch up on sleep because I’m sure that we’ve all run up quite a sleep debt, a lack of an adequate amount of sleep to support optimal functioning. This debt can be paid with a few nights of good sleep. I hope your sleep debt is paid now. Along with this concept is REM rebound where you experience an increase in REM sleepbecause of a reduction in REM-sleep. While the lack of REM-sleep can be caused by almost anything, one cause is a lack of sleep of any kind. It seems to me that this makes a great blog topic for the break. 27 November 2011 by Mr. M.
This has been a busy week. Much busier than I had anticipated, but not too busy that I haven’t had time to think about perception. The biggest problem with this section is that it has so many little perception rules that it seems unruly. Thus, the visual notes, the two assignments, and other ways of organizing the information. One of my favorite things about the unit is that it is so accessible in our daily life. Nearly every time you travel through traffic, you can identify perceptual laws. And, if you are out at night, you can see how they can go awry. For example, I was running the other night and on that dark stretch in Phu My Hung over by the Korean International School, I saw a car coming towards me. I was momentarily alarmed when I saw that its right headlight had come unattached and was heading right for me! The car seemed to be literally expanding right before my eyes. Then, I saw that it was simply two motorcycles whose headlights had traveled more or less at the same height for several meters giving the illusion that they were joined: law of common fate, law of proximity. But also their sizes and heights acted as cues. Two objects that are the same size are seen as being the same distance while a smaller object is perceived as farther away than a larger object. Two objects that are the same height from the horizon, or in my case just the same height since there is no horizon at night, seem to be the same size while an object closer to the horizon is perceived as farther away. Thus the two headlights seemed to be the same distance and thus strengthened the impression of their proximity and their common fate. In addition, top-down processing suggested that two headlights would be from a car. Of course, where I’m from there are more cars than motorbikes, so I wonder if it would be the same for y’all coming from a land of many motorbikes and few cars. Perhaps that is something to blog about or comment on. Binocular depth perception cues are much more difficult to have casual experiences of; you have to do things to give yourself the experience. For example, look at something and close one eye and then the other and watch how it jumps back and forth. If you can get closer then you can compare the degree of jump as you close each of your eyes. This would be a demonstration of binocular disparity. Is this top-down or bottom-up processing? Again, comment or blog.